June is National Safety Month. Before you begin trimming, pruning and mowing your great outdoors, it’s important to consider the safety precautions that can help you prevent injury to yourself or others. Follow these top tips to avoid potential hazards while making your yard the envy of the neighborhood. If you are using outdoor power equipment, read your instruction manual it will tell you how to properly start, stop and store your equipment. 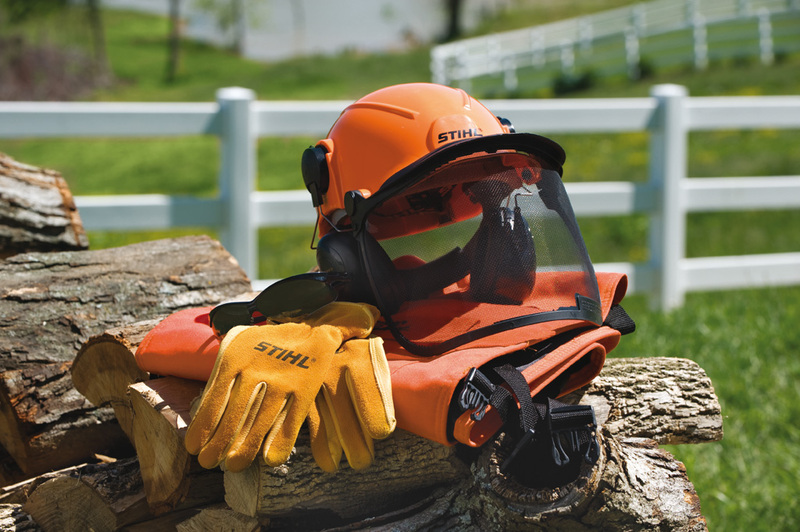 STIHL product manuals are available online. Inspect your equipment before use. If you find a problem, such as exposed wires or broken casing, you should visit a servicing dealer to get it fixed. 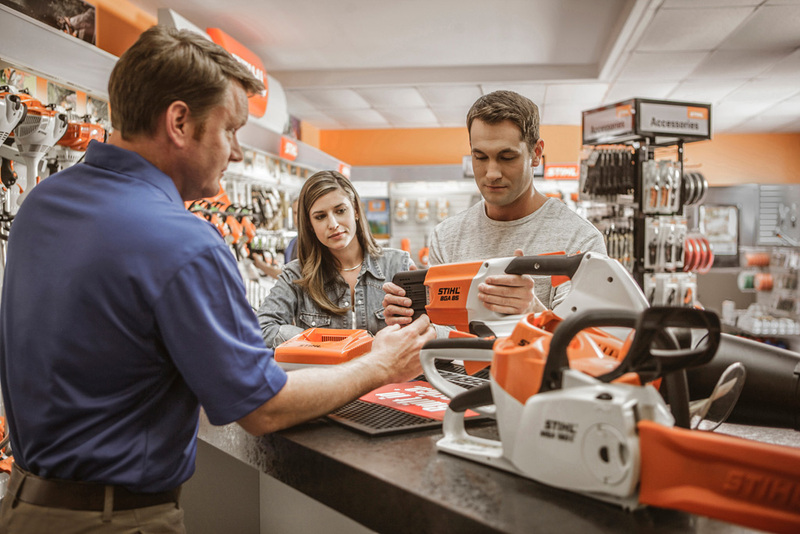 When mixing fuel, use fresh fuel that’s been stored for less than two months or try a pre-mixed fuel like STIHL MotoMix®. 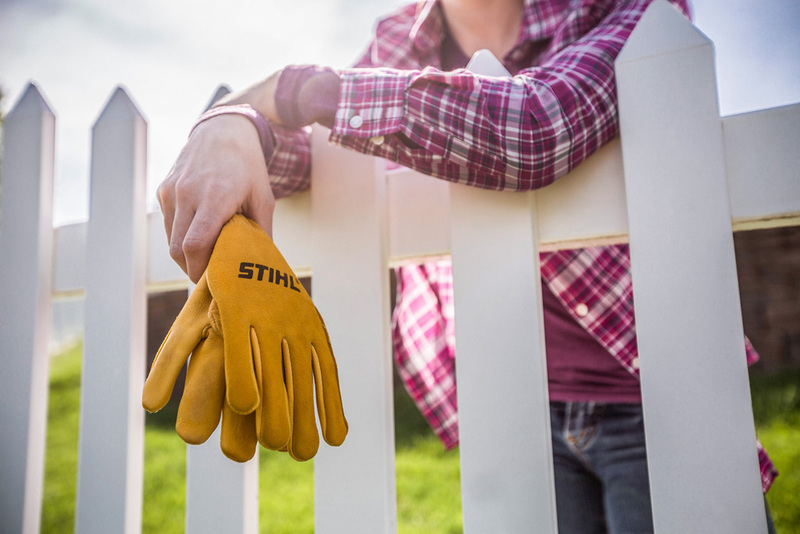 Assess your yard for any items that could cause damage if they get caught in a motor or cutting attachment. This includes big rocks, toys or pine cones. Keep an eye out for poisonous plants in your yard! It doesn’t take long for poison ivy, oak and sumac to spread, and many people have severe allergic reactions if their skin comes into contact with these pesky plants. Make sure bystanders, kids and pets are at least 50 feet away. Even for quick outdoor jobs, protect your skin with sunscreen, a hat and bug spray. Protect eyes, ears and hands. Power tools can stir up debris – none of which you want in your eyes! Be sure to wear protective glasses. The noise and vibration from power equipment can also be harmful; choose ear protection and gloves to make outdoor work more comfortable. Don’t wear flip flops when working outside! Protect your feet with rough-tread, water-resistant shoes. A steel toe cap can protect your feet from falling objects when you’re pruning trees. Never operate a chain saw without wearing the appropriate personal protective equipment, especially chaps made with cut-retardant material. Reactive forces can be dangerous if using a chain saw, be very cautious of kickback. Always be aware of your working conditions and how they can contribute to the most common reactive forces: kickback, pushback and pull-in. Determine your needs before you rush out to the nearest store to buy a new piece of outdoor power equipment. Ask yourself: How often will I use this tool? What will be the most demanding task? What type of power is best for me – gas, battery or electric? 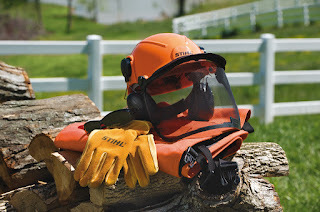 Try the STIHL Product Selectors tool to help you decide. Consult with a local servicing dealer before making a big spend. A local expert in outdoor power equipment will help you figure out how much power you really need to complete your yard tasks. The chocolate scent of cocoa mulch is enticing to pets, but if ingested, it can be deadly. Fertilizers and plant food chemicals can also be poisonous for pets; use chemical products wisely. Know before you plant! Some of the most popular plants are poisonous to pets, including Azaleas, English Ivy and Elephant’s Ear. Check this Humane Society list before selecting new plants. You’re nervous about tackling a big yard job, like clearing poison plants, regrading or extensive landscaping. You need to prune a tree or cut a limb that would require leaving the ground or getting close to power lines. You want to tackle a hardscaping project that could involve hours of tough labor that’s hard on backs and knees. Pros have the right tools and expertise to ensure the job is done correctly and safely. Visit Love Your Landscape to find a qualified pro in your area.